This area has been inhabited since prehistoric time and the different transformations within the park have permitted to find remains form Neolithic, Iberian and Roman civilizations. It always has been a strategic position for the different population, especially during the 10th century. Indeed, Penedès became the border of the County of Barcelona, therefore a defensive area, which is why the Castellet Castle was built. During the 18th century, the region developed its rural activities, mostly the vineyards. A severe agricultural and general crisis happened during the 19th century. The idea of building a reservoir came from here, to support the local economy. It would be achieve in 1943. Nowadays, the swamp has a recreational function instead of the initial one. The park is part of the twelve areas part of the Barcelona Provincial Council’s Natural Park Network, who manage the park with the local municipalities. The flora is unequally developed; the western part of the park still has crops, thanks to the irrigation system, whereas in the rest of the park, the flora has recovered from its agricultural use. The fauna is well developed too, with more than 150 cataloged species. For bird lovers, it is a dream place, with a great diversity of species thanks to the dam. You can also observe some amphibian species, like toad, salamanders, etc. Let’s get some explorer equipment and go explore the different species. This village dominates the Foix’s reservoir, offering a typical Catalan village with a wonderful view. Take a walk around and go see the main point of interest: the Castle de Castellet. 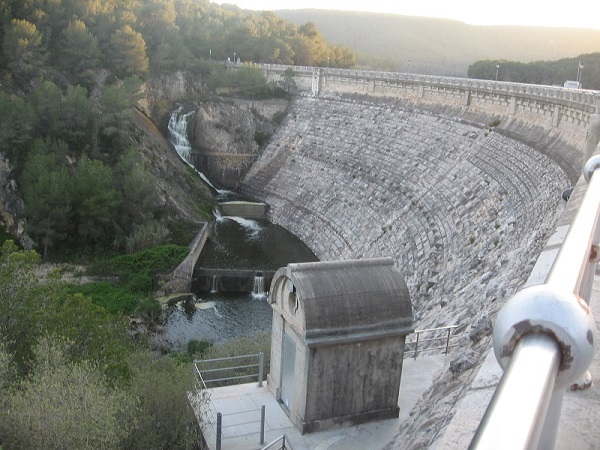 It use to be a defensive asset for the Barcelona province, surveilling the Foix River but mostly the Vía Augusta (main communication road). Thanks to a archeological work, it has been proven that the area was occupied since Iberians time. You can also go a bit further and go see the church Sant Pere de Castellet, a bit higher. The Castle is not open to public, except the second weekend of each month, with a free guided tour (max 15 people), from 10 am to 2 pm. So don’t forget to book your visit by calling +34 938 14 45 06. You can explore the park with the whole family, thanks to 2 different trails. 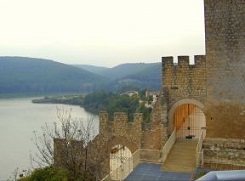 From Castle to Castle (Penyafort to Castellet): visit two castles in one day with this nice trail. You will go through forests and vineyards. Difficulty: average. Length: 2/2.30 hours. Source of Horta: discover the verdant forest surrounding the Foix reservoir. It is an easy trail of 2 hours. Catalonia is famous for its beaches, but the countryside has plenty of natural and architectural gems to offer you. Discover this one, only 20 min away by car or public bus from our aparthotel near Park Pantà de Foix.